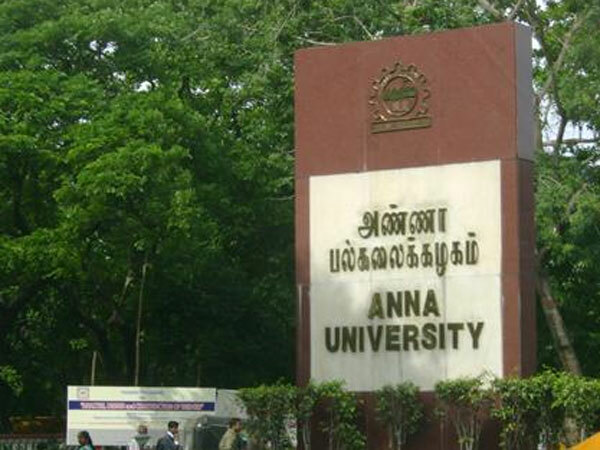 Anna University New Time Table for Postponed Exams: One of the most apex university of South India, Anna University have postponed the exams which were expected to take place this month. The exams were scheduled initially for Nov 23rd to 28th but later a new date sheet has been released by Anna University. The main reason behind the postponement of the exams because of rain in Chennai and Tamilnadu which have created a flood like situation. Exams which are expected to conduct on November 23, 24th, 25th, 26th, 27th, 28th were rescheduled to the start of the following month from December, Water logging is expected to remain more 15-20 days. As a benefit for students has also been awarded the extended period of some days to prepare for the exams. According to a statement released by the university, the exams has been postponed in two specific ways, first for the undergraduate courses and then for the post graduate courses. It Is Informed that theory Examinations Scheduled for Certain dates of November/ December 2015 Examinations of Anna University Pertaining to All Affiliated Colleges For the UG and PG Degree Programmes are Rescheduled due to Inclement Weather, The Details are given below. This may please be brought to the notice of the students, Staff all Concerned. The exams which are expected to start from today was scheduled to the eve week of January and F.N. and A.N would count on from 5th of January to 11th of January. It should also be noted that the exams which were delayed earlier would have no initial information about the delaying of the exams and they should be conducted as follows Until any other information is gathered. Rescheduled dates of the exams to be conducted through Affiliate colleges. The pdf files may not be available as a reason of huge load and less capacity of Anna University Exams. Students are recommended to confirm the dates with the college professors to avoid any discrepancies. You can also use the comment section to seek help of your college mates.